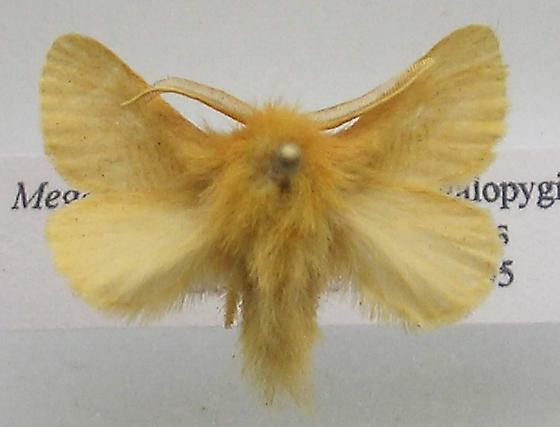 I'm pretty sure this is the "forgotten Lagoa", L. pyxidifera (Yellow Flannel Moth). I've only seen one photo of this species online as opposed to lots of the other two flannels (M. opercularis and L. crispata). I think it needs a guide page. Moved your image to a new guide. We've been putting these under Megalopyge. I entered the synonym on the guide page, so we should be covered.